You’ve heard of robots, but what are “cobots”? 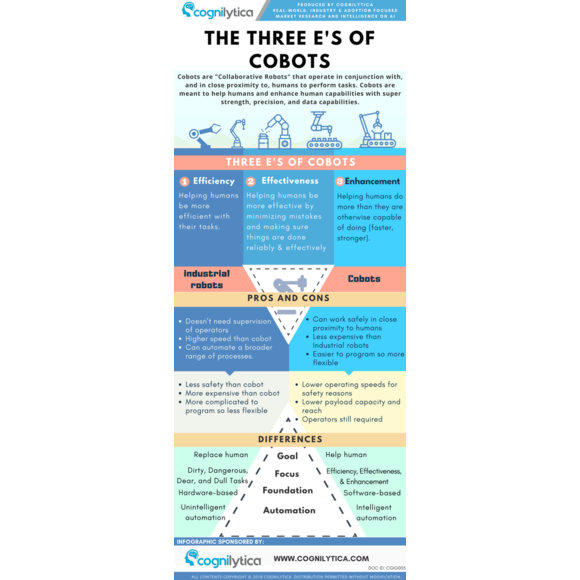 In this infographic, learn all about collaborative robots (“cobots”), how they are meant to operate in conjunction with, and in close proximity to humans to perform their tasks which is in contrast to industrial robots. Understand what makes robots and cobots similar, but also what makes them different and the advantages of each. 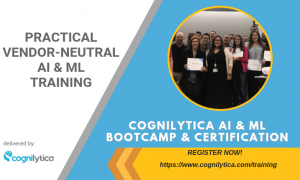 Also, learn the 3 E’s of cobots: Efficiency, Effectiveness, Enhancement. Explainer Video: What is Explainable AI (XAI)?